The bomb hit us all on Friday. Ford Australia is going to stop production altogether in 2016 and is shutting down the engine plant in Geelong and the assembly plant in Broadmeadows. I’m well aware that there are probably sound financial reasons for this move and is probably something to do with the whole global village thing, but I’m still gutted. I guess many other folk are, too, especially if they (a) were working for Ford Australia and are now out of a job and (b) were proud to drive an Aussie-made Ford. The axe fell on Mitsubishi in Aussie five years ago. Now Ford is shutting down. How much longer are Holden and Toyota , which still have a manufacturing presence in Australia, going to be able to keep the home fires burning? I don’t want to get into the whole political blame game thing. I’m not a political expert or an economist. I’m just a driver. I’ve been a Ford supporter for years. I got my driver’s licence in an Aussie-made Ford Falcon and I currently drive an Aussie-made Ford Fairlane (and, among other cars, I had an Aussie-made Ford Festiva in between those two). I liked the idea that I was supporting the team Down Under by choosing to drive a Ford. I liked the mental picture of the iron coming out of the Aussie mines ultimately ending up in an Aussie car factory and ending up being driven on Aussie roads – kind of like the vehicle equivalent of a farmers’ market and buying locally grown food. And I also liked the thought that it getting spare parts was a heck of a lot easier with a Ford. In fact, it was a lot easier and quicker to get the spare parts – it took my local mechanic next to no time to get a spare bit on the few times that something needed fixing on the Fords I’ve owned; when I had a Saab 9000, it took three weeks for a replacement part to arrive from Sweden, leaving me walking the kids to preschool in the middle of winter (said Saab was a great car when it was on the road, I have to add). I suppose I’m not the only person with questions about what is going to happen now. First of all, what’s going to happen to all the workers and the community in the Geelong area now that an industry that’s been there for the best part of a century is closing down? And where are all the Fords in the world going to be made now? Are they going to be produced in some country where the workers get paid a pittance and work excruciatingly long hours in shonky conditions? What’s the knock-on economic effect going to be on the Australian economy as a whole if we’re not making as many cars locally and a larger chunk of ore is heading overseas in an unprocessed state instead of getting the value-added treatment here? Did they actually export many of the Fords made here in the first place (well, they sent a few across the ditch to New Zealand, but anywhere else?)? 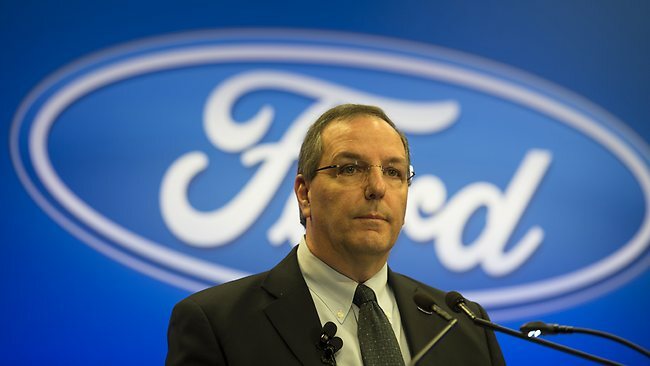 However, a Reuters article reports that Ford USA is increasing production and is shortening its usual two-week summer shut-down from two weeks to one week to meet demand, as well as creating more jobs. Guess where the spare parts for your Ford might be coming from (I’m just guessing, too – some might be made by local folk (fingers crossed)). And I have a question for myself: will my past loyalty to the blue oval override my support for local industry, or will I have a long, hard think about whether my next set of wheels should be a Holden? Ford Australia’s recent announcement: the fallout. The announcement on Thursday, 23rd May, by Ford Australia CEO Bob Graziano, that the two Victorian based manufacturing plants would cease making the Falcon, Territory and the 4.0L engines was not unexpected, if somewhat cynically timed to coincide with Holden’s official VF Commodore media launch. What does it really mean for Australia’s auto industry? Note I said auto industry, not car manufacturing industry. First up, of course, is the human cost. Around 1200 workers are directly affected, with the knock on effect through to suppliers sure to hurt a little, with an estimated (possible) 2500 others in various component suppliers. There’s areas such as brake components, electrical, tyres that will lose orders…..although Graziano’s announcement suggested an increase on the overall model lineup (which, to be honest, gives me mixed feelings) those cars will have been supplied and built overseas. The root cause of the announcement can’t be traced to any ONE source; it’s easy to say it’s solely because of the losses that have mounted up but why is that the case? Was it the failure of the AU Falcon, intended to reinvigorate the Falcon nameplate and soundly denounced by a member of the Ford family? Was it the rise and rise of the SUV? Was it the better engineered competitors with sharper pricing? Was it, simply, bad company management, both here and at Dearborn, Ford’s US headquarters? It’s been said that Ford AU fought for better export opportunities against the will of Ford US, with the somewhat underwhelming Capri, based on the Laser/323 twins being a “highlight” of their export efforts. 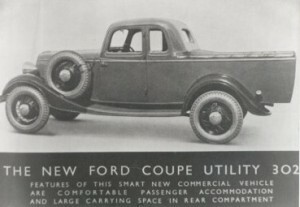 Ford Australia has an immense amount of moments in history; Lewis Brandt’s coupe utility from 1934, the gorgeous range of coupes from the XM of the early 1960s through to the XC from the mid-late ’70s, including that now iconic 1-2 finish at Mt Panorama and the shape’s contribution to filmdom, with the immortal Mad Max Interceptor. There’s the European inspired XE Fairmont ESP, with the 351ci beast under the bonnet and, of late, the brilliant turbo six and the blown V8 from the performance arm, FPV. But no mention of Ford Australia can go without these four letters: GT-HO. Released in 1971, as part of the XY Falcon range, the GT with Handling Option, Phase 3, was seen as the pinnacle, at the time, of Ford’s product range. 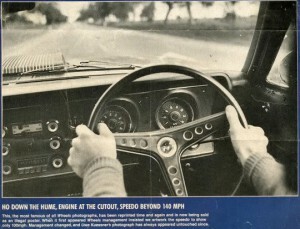 The now infamous photo from Wheels magazine of a GT-HO screaming down a deserted Hume Highway at 145 miles per hour permanently imprinted the blue oval brand into Australia’s automotive consciousness. 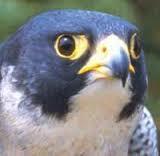 So where did it all go wrong for the Falcon? Sales of large cars in Australia, specifically the Falcon and Commodore, have been in a downward spiral for years. The release of the Territory effectively signed the death warrant of the Falcon wagon whilst simultaneously adding to the SUV climb. The reluctance of Ford US to allow a working export program (in 2012 Ford Oz exported just 100 Territorys) in the face of Holden’s success with the Commodore and Statesman/Caprice whilst Toyota has also been moderately successful with the Camry/Aurion has to be considered as a loss of incoming revenue, while small to medium cars, with the growth of families being a DINK (Double Income, No Kids) or needing room ostensibly seen as unavailable in a wagon playing into the hands of the SUV market, plus some clever marketing (you don’t have a SUV? Horrified gasp. What’s WRONG WITH YOU?) has also come into play and can all be seen as a contributing factor in their own right. Ford has signed off on a Falcon and Territory update for a 2014 release, with October 2016 being inked in as the close up shop date for their manufacturing plants. Graziano confirmed that their engineering centre will continue to offer input into world engineering designs and keeping around 1500 jobs safe. But there’s lingering questions about how Ford AU has been given in the order of one billion Australian dollars since 2000 and still arrived at this, literally, dead end. To use that cliched phrase, at the end of the day, it doesn’t really matter. Australia will be down to just two manufacturers and will see the end of something two communities have had as part of their own, individual, histories for a long time. 1200 jobs lost, spread out over 23 million people, is a very small percentage and would be, on its own, a worrying thing. Broadmeadows and Geelong, however, will have to shoulder that number between them. But worse still will be the day that another part of history in Australia ceases to be created. And that loss is incalculable. Who’s the leading car manufacturer when it comes to safety? Volvo has to be the obvious answer, as they are amazing at coming up with ingenious ideas for not only keeping passengers safe but pedestrians as well. But here’s another world first from Volvo. Doug Speck, Senior Vice President Marketing, Sales and Customer Service at Volvo Car Group, introduced another trailblazing safety feature that is able to distinguish and detect a cyclist and then automatically brake for any cyclists that swerve out in front of the car. Pedestrian and Cyclist Detection with full auto brake consists of a radar unit that sits unified with the car’s grille, a camera that is fitted in front of the interior rear-view mirror and a central control unit. The camera defines the type of object in front of the car, and its high-resolution makes it possible to spot the moving pattern of pedestrians and cyclists. The radar has been designed to detect objects in front of the car while calculating the distance that remains between the car and the object. All information from the radar and camera are sent to the central control unit which continuously monitors and evaluates the current traffic state. The Volvo team have enhanced the present detection and auto brake technology which is used in many new cars, today. 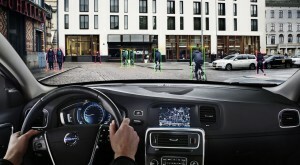 Volvo have called their cycle detection and response system: the Pedestrian and Cyclist Detection with full auto brake. 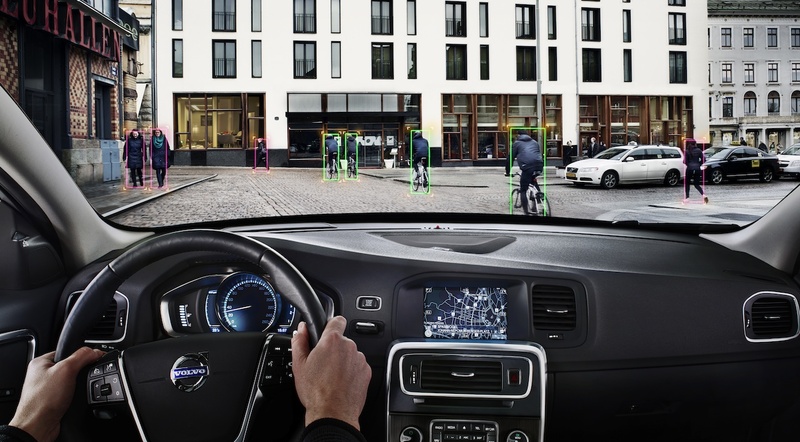 All new Volvo cars will become equipped with pedestrian detection that incorporates this new cyclist detection technology. Research has shown that about 50 per cent of all cyclists that are killed in Europe have collided with a car. It’s exciting to see how valuable and how massive this new safety feature will help save cyclists lives. Volvo states that the Pedestrian and Cyclist Detection with full auto brake will be available in the new Volvo V40, S60, V60, XC60, V70, XC70 and S80 models in the second half of this year. Following on from the success of our previous driving surveys, Private Fleet has once again quizzed Australian drivers from across the country to get a real sense of the current issues motorists are experiencing. Money doesn’t buy happiness: Respondents earning over $200,000 per year are 60 per cent more likely to get angry behind the wheel than those on under $40,000. Texting and driving: 58 per cent of 26-40 year olds admit to texting while driving, making them more likely to offend than the 18-25 bracket (51 per cent). Only 2 per cent of those over 75 years of age text and drive. At-fault accidents: While 35 per cent of respondents reported an accident in the last three years, only 17 per cent admitted fault for a minor incident…that number dropped to only 4 per cent when admitting fault in a serious accident where police were called. Women Drivers: Sorry ladies, after carefully analysing 2403 responses from men and 988 responses from women, it appears that women are actually around 40% more likely to be involved in an accident per kilometre driven. Additionally some 1980 respondents added commentary on the standards of driving in Australia and our worst offenders. From Holden drivers’ aggression through to ‘distracted’ P-Platers, through to the age-old argument of undertaking versus those hogging the right lane, the comments have sparked no end of debate. The true beauty of the Private Fleet Driving Survey lies in its interactivity. We invite you to peruse the results yourself, combine them how you want and create your own conclusions…with around 55 million possible combinations, we are sure there are many intriguing results to be discovered, so make sure you share your findings! Holden’s all-new mid-size car, the Malibu has been awarded a maximum 5 star ANCAP safety rating ahead of its showroom debut next month. Holden Malibu’s standard safety features include six airbags, a rear view camera and rear parking sensors and Electronic Stability Control (ESC) incorporating Anti-lock Braking System (ABS), brake assist, electronic brake distribution and traction control. Ensuring safer transport for children, Malibu also includes the ISOFIX child seat anchorage system, an international system for attaching child restraints to vehicles that assists in correct seat fitment. An Australian standard for ISOFIX seats is anticipated shortly. Holden’s Manager for Vehicle Structure & Safety Integration, Steve Curtis said a five star safety rating was an important feature for new car buyers. 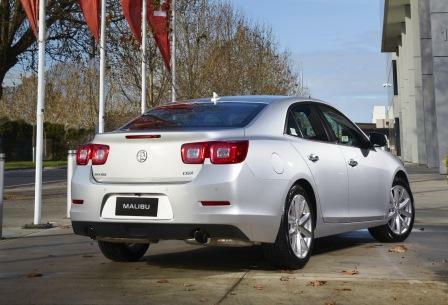 “Holden Malibu was designed to achieve the highest level of real-world safety and a five star rating offers important peace of mind for drivers and their passengers. In the event of a crash, Malibu provides a strong structure that comprises high-strength and ultra-high-strength steels, full-length frame rails, a reinforced safety cage and impact-absorbing crush zones. This structure is designed to absorb the energy created in a crash and help preserve the structural integrity of the occupant compartment. Further, to meet global standards for protecting pedestrians against head injuries in the event of a crash, Holden Malibu uses energy-absorbing materials in the bonnet. Other energy-absorbing techniques for protecting pedestrians in the event of a collision include the strategic use of air space between the hood and hard objects underneath – such as the battery and engine – that could injure pedestrians. And with the Commodore, Holden has significantly increased the value of Commodore with new features and reduced recommended retail prices across the VF sedan and Sportwagon range by between $5,000 and $9,800. Launching a simplified line-up, Holden has created the Evoke nameplate to kick-start the range, redefining ‘entry level’ and making class-leading technology standard on Australia’s favourite family car. enhanced voice recognition, an eight-inch, high-resolution colour touch screen with Holden’s MyLink app-embedded technology including voice recognition and Siri Eyes Free integration*, full iPod® integration and built-in apps like Pandora® and Stitcher SmartRadio™. remote vehicle start (automatic transmission only). 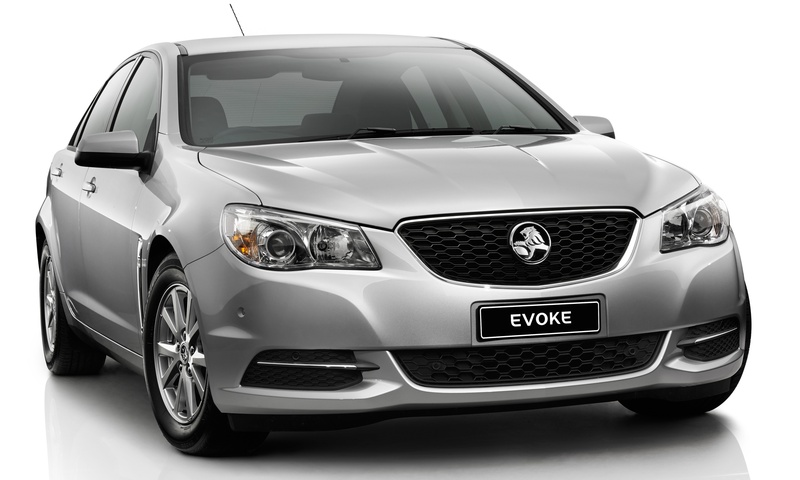 Holden Executive Director Sales and Marketing, Philip Brook, said Evoke would play an important role in changing perceptions of Commodore. “Evoke is a great car that people will want to own, it will be an aspirational vehicle. 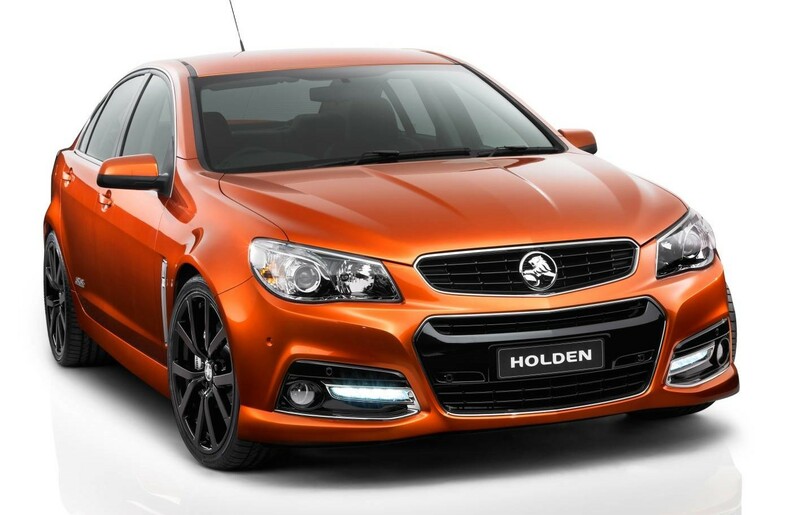 The features we’ve made standard show Holden is serious about making world class technology accessible to all our customers,” he said. “Starting with Evoke we have simplified Commodore’s pricing and value walk up with logical price and equipment increments and very strong sports and luxury identities. 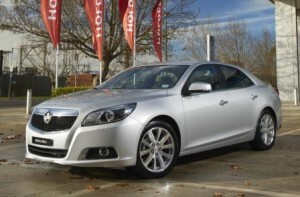 Stepping up from Evoke, Holden’s Calais combines luxury features with VF’s cutting edge technology for under $40,000. The high-end styling and features of Calais have made it one of Commodore’s most successful and long-running nameplates. Holden has wound back the Calais RRP by more than $8,000 to just $39,990. Calais also gains Blind Spot Alert and Reverse Traffic Alert, sensor key and push button start technology in addition to the styling Calais drivers expect, including front and rear premium design features and chrome accents. The luxurious high-end Calais V has an RRP $46,990 (reduced by $9,800) and Calais V is also available with the 6.0L Gen IV V8 engine for $52,990 (reduced by $9,000). “Calais V embodies premium sports luxury – it’s become the flagship of the Commodore range. Calais V benefits from luxury craftsmanship and design and the highest levels of technology. We believe it rivals European competitors,” Mr Brook said. Calais V gains advanced safety technologies including Forward Collision Alert, Lane Departure Warning and a colour Head-up Display. It also adds high-end luxury features such as heated front seats, electric eight-way adjustable driver seat and satellite navigation with full colour mapping with live traffic updates and traffic management control. 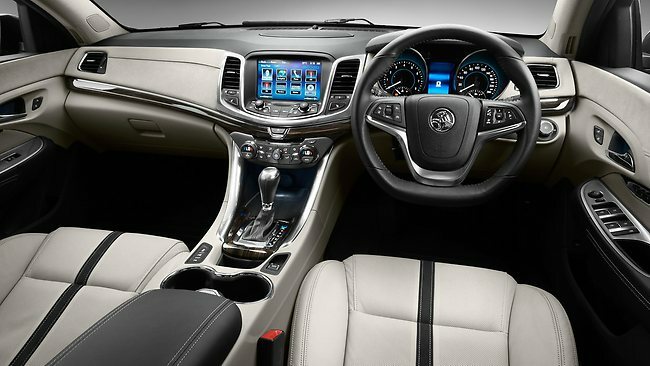 Calais V sedan also gains Holden VF Calais interiorthe Bose® premium audio system and sunroof. Commodore’s performance variants – SV6 and SS – gain VF sophistication and retain the unique sporty character these models are famous for. Holden has improved the value of the SV6, with a reduced RRP of $35,990 (down $6,800), and boosted the value of the iconic SS reducing its RRP by $5,800 to $41,990. SV6 is powered by the 3.6L SIDI V6 with the SS stepping up to the 6.0L Gen IV V8 engine, both are standard with a 6-speed manual transmission. Building on Evoke specifications, SV6 and SS gain Blind Spot Alert and Reverse Traffic Alert technologies in addition to their bold front and rear sports styling, side skirts, lip spoiler (on sedan) and chrome exhaust tip. A wing spoiler is now available as a factory-fitted option on sedan for $500 on sports models. “Holden sports models have a very clear performance identity within the Commodore line-up and they’re taking a huge leap forward with VF. They really are a class above the competitors with game-changing technology and Holden’s performance credentials,” Mr Brook said. “Our enthusiast customers are our biggest fans and great supporters of the Holden brand. In the run-out of VE we’ve practically sold out of V8 models and dealers are reporting huge interest in the SS and other sports models. The RRP for SS V is now under $50,000, reduced by $9,800 to $45,490. SS V Redline now starts at $51,490 for sedan, a roll back of $6,300. Redline adds Forward Collision Alert, Lane Departure Warning and Head-up Display on all body styles as well as the premium Bose® audio system and sunroof on sedan models. SS V Redline is the ultimate in rear-wheel drive sports performance with Brembo® brakes, forged 19 inch alloys and an updated sports-tuned FE3 suspension package. “The Holden engineering team is really proud of what they’ve been able to achieve with Redline. VF Redline also has wider rear wheels for extra traction and includes competition mode with launch control and track settings for the true enthusiasts who participate in track days,” Mr Brook said. Mr Brook said Holden dealers could now take orders for VF Commodore models with the start of production later this month. “Our goal with VF was to help customers find the car that suits them by simplifying our line-up – whether it’s a family, an enthusiast, or a luxury car buyer – which also makes it easier for dealers and helps reduce complexity in our manufacturing operations,” he said. “VF Commodore has amazing, world-leading technology, sophisticated design and performance credentials that make it an incredible package. And what makes us most proud is that we designed, engineered and built Commodore in Australia. 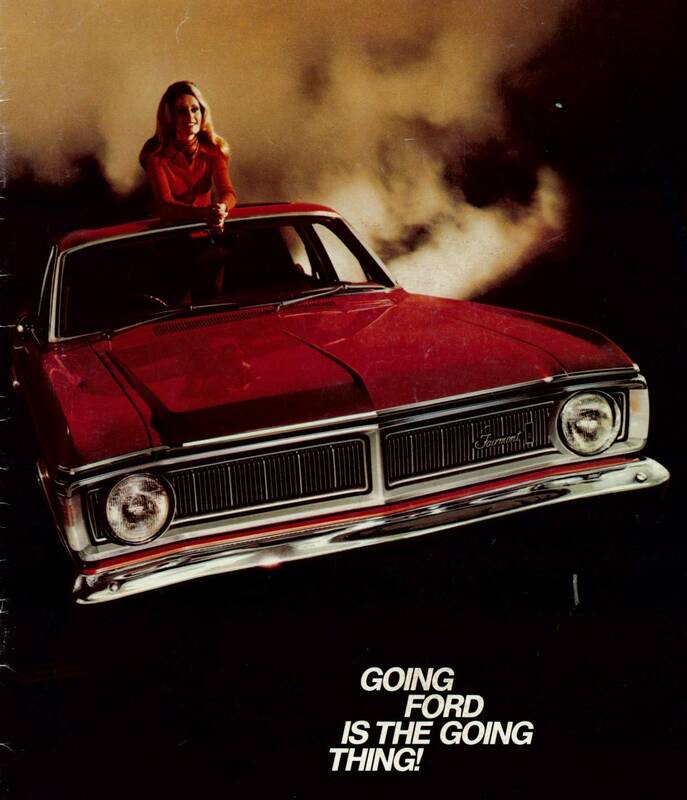 “We have a new creative marketing direction for the Holden brand and we’re reasserting ourselves in an incredibly competitive market. This guest post is courtesy of Simon Brisk from Car-Towbars.com. Thanks Simon! Most car owners will come across a situation at some point in their live where they need to tow something whether it is a caravan or a trailer of some sort. There is a common misconception that a truck or a SUV is needed, but in fact by fitting a tow bar most vehicles can do the job perfectly well. The good news is that fitting a tow bar is fairly straight forward. The first, and possibly one of the most important, step is to find the mounting points. This will most likely require that you detach a section of the interior boot trim. Often this involves lifting the floor covering and in some cases the side panels. It may also be necessary to remove the bumper from the vehicle, but not always so check with your car’s owner manual. In a few rare cases you may find that the tail pipe of the exhaust need to be dropped and the heat resistant shield removed. Once the mounting points have been located the tow bar can be fastened into the holes. There are usually two holes on each side of the chassis legs. With some models you may also need to secure the tow bar to supports further down the chassis. If the bumper had to be removed to fit your tow bar then it is possible that it will need to be cut to allow refitting over the newly installed tow bars. Is It Safe For Anyone To Fit Their Own Tow Bar? In theory, anyone should be able to fit a tow bar without too much fuss. However, as the old saying goes: in theory practice and theory are the same, but in practice they are not. Whether or not you are able to properly fit a tow bar will depend on your own technical ability. If you are at all unconfident in your abilities then you may wish to opt for having a professional do the installation for you. Many tow bar retailers also offer fitting. If you are fitting a tow bar with electrics then it is a different story. The majority of tow bars should be supplied complete with a wiring diagram, but unless you have experience this may prove to be a little too complex for you to attempt. It is very important that you make sure the correct type of wiring is used to be compatible with your trailer or caravan. Again, full instructions should be included with the tow bar you have purchased showing where the wires should be fitted. Some people will find these easy to follow while others will struggle. In the majority of cases it is probably safer to have a professional fit tow bar electrics to ensure that they work properly. Fitting a standard tow bar to your vehicle is probably not even half as complicated as you might assume. Armed with your car manual, the tow bar instructions and a good selection of tools the job can usually be carried out in just a few hours. It only becomes more complicated when wiring comes into play. It is well worth asking your retailer if they can provide a tow bar fitting service. If you are lucky you might even get the service free or at a discounted rate! Entrepreneur Simon Brisk is crazy about cars. He is the owner of Car-Towbars.com,which specializes in witter towbars and other car towing accessories. Over the years, both in print and on-line, many a discussion has been generated around Australia’s worst cars. But with the Aussie car industry on its knees, I thought it was time to introduce some positivity to our home-grown motoring story, and ask our readers: What are your favourite Australian cars? From the advent of the first Holdens in the 1940s through to today, there have been some wonderful Aussie cars, designed locally for local conditions. 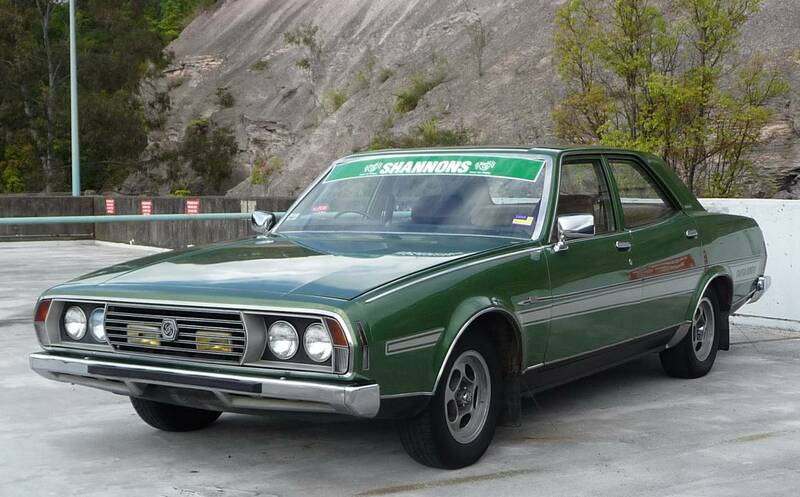 There were hardships of course, particularly in those early years where the content was largely inspired by America; indeed, early Falcons were positively flimsy and could simply fall apart, until Ford got serious with the legendary XP’s Aussie development program. Personally, my list of solid Aussies includes what is generally perceived as a lemon: the Leyland P76. With its light, all-alloy V8, big body and nice ride, I think the concept was right; it’s just a pity the execution (and subsequent reliability jibes) hampered its sales. Of course, the massively successful HQ-series Holden (485.650 produced) personifies what Aussies (used) to want in a car; space, robustness, power and a semblance of style. I also love the American-influenced ‘muscle car’ era, back when racing at Bathurst in production-based cars was actually beneficial to sales. Think Ford Falcon XY GT-HO, Chrysler Charger R/T E49 and Holden Torana A9X. Of later machinery, the Falcon EcoBoost was an on-trend alternative for modern times, retaining the sense of size, power and reliability that the best Aussie cars have but combining it with ultra-modern mechanicals which provide that power with economy. It’s a great drive, too…it’s just a pity that Ford didn’t have the marketing capability to really sell the product. We could argue forever about why we no longer buy Australian (fuel costs affecting fleet sales, extra competitive market, lack of investment/’feel’ for the market…the list goes on) but let’s instead try and gain inspiration from the past: What are some of your favourites? In a few of my posts, I’ve burbled on about the various names that get given to the models of cars – the good, the bad and the potential. However, what about the names of the actual marques themselves? Sometimes, the reasons behind these are more interesting than you think. Mercedes-Benz: The “Benz” bit comes from Karl Benz (the man who also gave his name to benzine and who first patented the automobile) and is rather straightforward but the Mercedes bit is more interesting. Apparently, there was a very early race car driver and board member of the Daimler-Benz company by the name of Emil Jellinek who ordered a line of vehicles from the Daimler-Benz company and gave the cars his daughter’s nickname: Mercedes, rather in the tradition of naming ships after women. The Mercedes Benz cars did very well in the racing circuit and did much to popularize the brand, so the name was kept on for luck, especially after Daimler had given his name to another luxury line. Toyota: Originally “Toyoda” but the D was changed to a T, as T was a luckier letter in the Japanese system of letters and numerology – it takes eight brush strokes to make and eight is a lucky number. Mitsubishi: This literally means “three water chestnuts” or “three diamonds”, which was part of the family crest of the founder, Iwasaki Yatarō, a man of samurai descent. Jeep: Popular legend has it that this name came about pretty much the same way as Humvee did – the initials GP (standing for General Purpose) got clipped down for everyday military use to “Jeep”. Other explanations have been given, including a character from early Popeye cartoons named Eugene the Jeep. In these cartoons (which came out well before World War 2 when the Jeep was developed for military purposes), a Jeep is a dog-like creature that is able to go anywhere, including into other dimensions. The vehicle seemed to have similar powers and hence the nickname. Audi: This is based on the name of the founder, August Horch. Horch had founded one company and had then been kicked out of it. When developing his new car manufacturing company, he was scratching around for a good name for it, as he couldn’t use his own name. His son was studying Latin at the time and suggested that seeing as Horch was the German for “Listen”, why not translate the surname into Latin, which would be “Audi”? Problem solved. Volvo: Another name taken from Latin, this time meaning “I roll.” It was chosen because the company originally made ball bearings. Fiat: A nice little double meaning here. It’s the initials of the Fabbrica Italiana Automobili Torino (Italian Automobile Factory of Turin) but also means “let it be”. “Fiat” was/is also a technical term used to indicate a decree that has been handed out by a higher power that must be carried out – that higher power being God, the Pope or the Government. “Fiat” was also supposed to be used by magicians to complete spells. Mazda: This name was chosen because it sort of sounded like the name of the founder, Jujiro Matsuda and it was also the name of an ancient Persian god worshipped by the Zoroastrians (full name: Ahura Mazda). 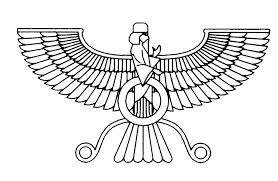 The symbol of Ahura-Mazda is the faravahar, which is a combination of the sun and eagle’s wings. 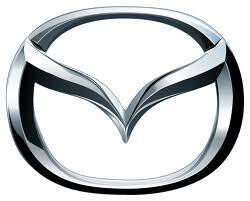 Take a careful look at the logo of Mazda car, and you’ll see the circle and the wings still there. Other cars with divine names included the Jowett Jupiter, the Citroën Dyane (after Diana, the moon goddess) and the small Greek SUV marque Hercules. Subaru: Fuji Heavy Industries wanted a name that reflected the companies that merged to form the one big company that had a touch of poetry to it. So they picked the Japanese name for the constellation of the Pleiades or the Seven Sisters – a linked group of bright stars. You’ll see the constellation on the Subaru logo – except it’s the way up that Japan in the Northern Hemisphere sees it, rather than the way you can see it on a nice clear summer night with a pair of good binoculars down here. It’s been a dual diesel duel over the last week, between the revamped Mitsubishi Outlander Aspire 7 seater diesel up against Toyota’s new diesel entrant to the SUV competition, the venerable RAV4, with Cruiser AWD nomenclature. Both have undergone a substantial exterior reskin whilst the Outlander has received a moderate tickle to the interior. The RAV4 has gone a little further but it’s the under bonnet makeover that’s of most interest. Mitsubishi has supplied its soft roader with an oil burner for some time now; Toyota has kept their diesels more for their Landcruiser and Prado range in a non-commercial sense. With diesel’s economic benefit being more widely appreciated along with the extra torque compared to petrol being part of that factor, Toyota has finally lobbed an engine powered by dinosaur juice into the vehicle that kickstarted the soft roader revolution. Both have a 2.2L capacity engine with identical power and almost identical revs, 110kw at 3500rpm vs 3600rpm (Mitsubishi/Toyota), the Mitsi twisting out 360Nm of torque from 1500rpm to 2750rpm and the Toyota 340Nm (2800rpm) via an auto gearbox, in this case a Constantly Variable Transmission (CVT) for the Outlander and a traditionally slick self shifter for Toyota. Both have six ratios programmed in with the Outlander receiving F1 style paddles behind the tiller and the RAV a “traditional” gear lever change. Both are All Wheel Drive (no transfer case for low ratio dedicated off road work) and have a form of hill descent control plus an ECO mode to gauge how gently (or not) you’ve been driving and the RAV gets a Sports mode too. The Outlander and the RAV have an electronic lock system, allowing a change between a torque split (torque directed between front or rear) drive or a locked AWD setup. There’s a better measure of refinement on the Toyota though, with less engine chatter intruding into the cabin plus the Outlander had some vibration and shudder at low speeds at around 1500rpm. There’s a touch less lag on the Toyota as well, when the go pedal is depressed. On the road both are well behaved, tracking truly on the straight. When asked to change direction both do so without fuss, with the RAV’s electronic assist to the steering somewhat without feel on centre but loads up on either side. The Mitsubishi offers a more even feel all the way through. Ridewise the Outlander was a touch harder; although supple enough on a flat road there was a little less give than the RAV, especially on humps’n’bumps. The front end would also “crash” over bigger speedbumps, with a seemingly shorter suspension travel feeling as if they would pull out. The Toyota, with a slightly more plush ride, would have tyre squeal and understeer more when pushed into a hard cornering situation; possibly to do with its slightly different wheel and tyre configuration, 17 inch rims with 225/65 tyres as opposed to the Aspire’s 18/225/55s, which also may account for the slightly less level of rebound. The stop pedal on each on each was smooth and well weighted on the feel. Both come with a 60L tank; somewhat strangely, the Toyota seemed LESS economical than the Outlander, even with a mere 50kg weight impost with the RAV reaching a quarter tank used first with similar distance and driving styles covered. Both came with keyless entry and start plus electronic tailgates. Operated via the remote fob, the Toyota’s seemed more successful in reading the signal, with both having a switch in the tailgate and Mitsubishi one on the dash. As expected, both had beepers to warn of gate up, gate down motions. The interior of both is comfy, with the RAV’s seating a little more padded and supportive; the Outlander’s give you a sitting on rather than in impression. The Aspire has the extra row of seats with the simple “pull strap” to raise or lower but has lost the tumble fold and roll middle seats. The Cruiser has a five seat setup, a touch compromised by the RAV’s ten centimetre shorter overall length although, oddly the wheelbase is just a centimetre less. There’s well over 400L of cargo space for each with the rear seats (not including the third row in the Outlander) up plus each have a cargo blind. Overall width is a winner to the Toyota, by just 45mm but the Outlander feels a wider cabin although the RAV has a sunroof. Both dashes are easy to read, with a logical layout whilst taking slightly different routes with the placement of the Start/Stop button. The Mitsi’s is to the lower right of the steering wheel and the RAV to the upper left….neither are clearly visible to the driver. Toyota wrap the centre console and door trim in a carbon firbre look and some handsomely stitched leather on the centre dash. Outlander gets a tastefully contrasting wood trim (doors) and pianoblack highlight (centre dash) and both get heated seating. A minor ergonomic issue with the Aspire was the placement of the interior door handle, feeling as if it should be an inch or two higher. Both came with touchscreens for the satnav/entertainment system and steering wheel controls; the Mitsubishi won out with a more user friendly control system and, more importantly, did NOT have the utterly intrusive voice system saying a driver was over the limit…especially when the GPS was a bit lost. The sound from the audio system in each was wonderful, with the Aspire copping a Rockford Fosgate setup, although the Toyota’s bass was a little more defined. Naturally, connectivity is not an issue with USB/Bluetooth and Auxiliary ports available, with the RAV proffering two USBs, one in the head unit and one below. It’s the exterior where these two have a more clearly defined delineation: the RAV cops the new angular family design brief, with the sharper, pointier nose and headlight cluster, LED running lights and a slightly less rounded rear than before. The Outlander has the now, more familiar, rounded and slightly bulbous look; it’s one that is slowly growing on me. There’s the familiar rubber touchpad for the keyless entry on the Aspire with the Cruiser getting a touch sensor embedded in the door handle plus has a nifty “blind spot” sensor with each exterior mirror lighting up a graphic if another vehicle appear to be in a tricky position to see. Pressed to find a clear winner here, I can’t; both have their pluses and minuses enough to cancel each other out. And that’s great news for prospective buyers that aren’t brand locked. Both are competitively priced, the RAV starting at $48490 (auto) plus on roads and metallic paint whilst the Outlander starts at $45490 plus on roads and metallic ($495 + the electric tailgate, sound system and a couple of other items are a $5500 option) which, on dollars only, would have the Toyota only just ahead. 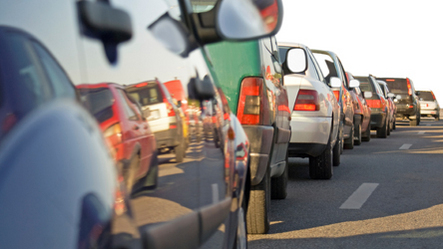 We’ve all heard about the drive towards more environmentally friendly motoring. Hybrid vehicles seem to be coming onto the market left, right and centre, and (as I’ve mentioned in earlier posts), fuel economy figures are getting just as much attention as power and torque figures in car reviews these days. But what about the other aspects of car ownership? 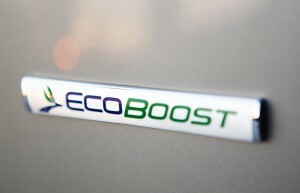 Going green goes way beyond buying a nice shiny new Nissan Leaf or some other hybrid or electric vehicle. It goes beyond using ethanol blends (which come from a sustainable and renewable source) or biodiesel (ditto) to power your vehicle. It also applies when it comes to keeping that new vehicle shiny. A lot of commercial car cleaning products contain a lot of fairly ferocious chemicals. These have a number of environmental problems associated with them. First up, there’s making them. If it’s made here in Australia, it probably has to comply with all sorts of regulations regarding emissions, so that’s OK, but if it gets made in some third-world country, the factory could be a bit dodgy for the environment. Next comes using the stuff. 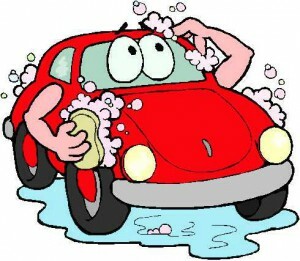 Some car cleaning products can be pretty rough on your skin or on your lungs. And last of all comes disposal – all that stuff goes into the water system and can take quite some time breaking down. Dissolve the soap gel and the washing/baking soda in the water. Apply to the car body with a soft brush. Rinse off with plain water. This is a mild wash that gets the grub off but doesn’t hurt the wax or the paint – or your hands. Shake together and spray onto the glass with a soft cloth (e.g. an old towel or a tatty old T-shirt). Buff off with another soft cloth. Tar is oil-based, and any good oil will soften it enough for you to be able to pick and peel it off the paintwork very, very gently, or scrub it off with an old toothbrush. If the tar is very old or stubborn, a little kerosene should do the trick, with the emphasis on “little” or you’ll wreak havoc with the paint. Melt the waxes in the oil in a double boiler. While it’s still hot, pour it into a suitable tin or container ready for use. Then use as normal. It’s not tinted, but it will do. Carnuba wax is derived from a Brazilian palm tree and is the basis of a lot of commercial car waxes – make that most of them. You could also give a microfibre cloth a go (e.g. an Enjo cloth). These are great if you are on water restrictions, as you only need enough water to get the cloth damp. The wee fibres get into those microscopic cracks in the paintwork (yep, they’re there) and grab the dirt. Because you don’t use any product, there’s no residue left behind, so the paintwork doesn’t go streaky.